Hiring A Professional Packing Company Is A Must of Every Good Move. 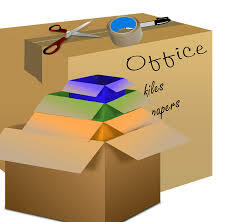 There are numerous reasons to use a professional packer the next time you move home or office. Hiring a professional packing or unpacking services reduces the stress involved in a move as well as limiting unnecessary physical exertion. In addition, it will save your time since you don't need to be involved in the process. Safety of your thing is guaranteed, when using a packing company. Also, if you are moving overseas, it is strongly recommended to have your goods packed by a removalist. This will help you avoid any unnecessary delays or additional charges from customs or quarantine officials. You may not be physically capable of doing your own packing. It is not easy to carry heavy items all by yourself. Moreover, with some of the items you might need an extra pair of hands. And at last, once you have loaded everything to a truck keep in mind, you'll need to unload it as well! Unloading, same as loading. Whether you have lots of crockery and glassware including fine china, books, linen, expensive paintings, clothing, toys and even garage or shed items – everything is covered! By allowing a professional packer to pack your breakables and valuable items, you can feel confident that your items will arrive at the intended destination intact. Professional packing service will save you time to get on with other important duties and free you up to look after other more important things like family, business and health. A typical house pack can involve 50-80 boxes in addition to the furniture. This can take days and not only involves a significant amount of exertion, but can also be extremely stressful. 4. 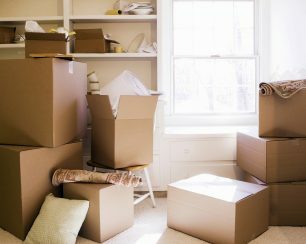 You don’t live with boxes for weeks, you can book your packing services the day before you move! Looking for a professional packing and moving company? Get a free quote from Calgary Moving Services now!